They say you’re never too old to start saving and it’s never too late. Of course that’s true but it is always better to start young, right. So what are you waiting for? Start when you’re young and able and together let’s pave our way to that bright future. Start NOW! When you reached that certain age of maturity and you think about the future, you start on finding ways on how to better reach that goal. And knowing your options are really the best way to get that bright dreams. knowing what to sacrifice is the first step towards that. These days though it’s very common how kids or millennials as they commonly called think and it is a struggle. With all the temptations that are just looming around the corner; newest Gadget, enticing food, promotions, and whatnot. Any moment you’re presented with those “decision making moments” and more often than not people would just give in. But with proper education, motivation and guidance that goal is achievable. That’s where Sun Life Financial advisors are very good at and that’s where they can help. Come on, reach out now and start climbing your way to financial freedom. Visit Sun Life Financial website, better yet SIGN UP NOW! Hard work beats talent – never give up until you reach your goal, have that winning attitude. Take action, makes things happen. You may fail but definitely you will learn something. Explore your talent – when you’re good at something, use it, and improve it. Earn from it, profits are better than wages. Manage – look for good mentors, invest in yourself, never stop learning. Protect yourself – invest as early as possible, automatically save a potion of your salary. Have more to have a little bit extra. In times of adversity, you have something to reach out of. Discern – learn what to and not to spend on, live within your means, live simply. Know what to prioritize. It’s never wrong to reward yourself when you hit your target. Surround yourself with like-minded people, make bridges, meet new people, circulate. Learn from peoples experience. 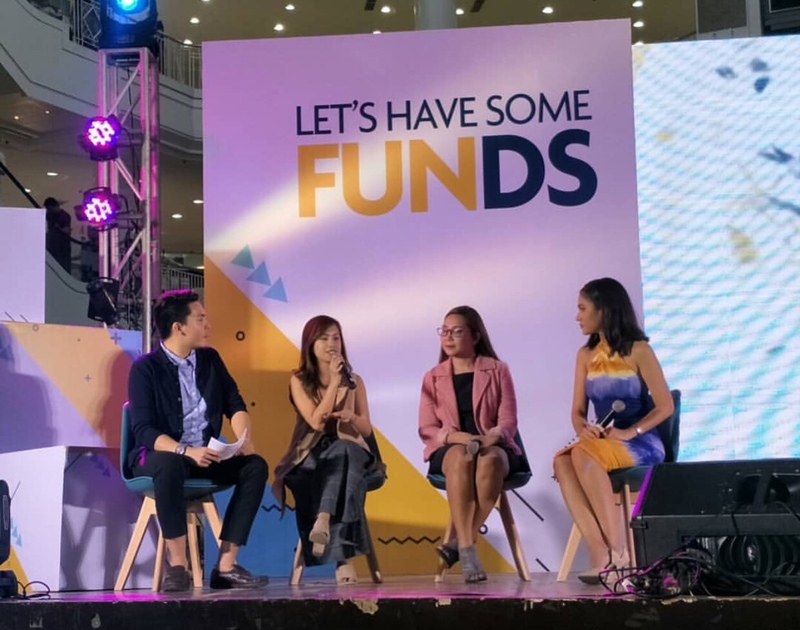 Host Jeff Pe, TV Personality Mia Ali, speaker Kathrynn Dawn Sy and Sun Life Financial Regional Sales Manager Ms. Bernardo open forum after “Girls Just Wanna Have FUNds” talk. Always prioritize your future, SAVE! SAVE! SAVE! – no matter how little that is, invest! Minimize spending on wants, prioritize on what is necessary. Never settle on just a salary as your source of income, find ways to earn extra. Start with what you have now – NOW is the right time to make things happen. Learn as much as you can – maximize your resources, Internet, books, seminars, get in touch with a financial Advisor. Host Jeff Pe, TV Personality Mia Ali, speaker Karlo Lim and Sun Life Financial Regional Sales Manager Mr. Mike Gustilo open forum after “Money under 30″ talk. As a traveller that I am and a very practical at that, I have been living in these principle. I am not rich and perhaps will never be but at least I am able to travel when I want to, to where I want to. Because I know my priorities, I focus on it, and work real hard for it. As I ended my day, I’ve seen a glimpse of a better future and considering on exploring my options with Sun Life Financial. Let’s start to have some FUNDs together!!! !